Gulidline’s 6622T Temperature Bridge Series expands upon the success of 6622A Series Resistance Bridges by utilizing engineering ingenuity to offer leading uncertainties and stabilities for Temperature Bridges. This design introduces unique innovations in hardware and software for a wide range Thermometry Bridge Series accommodating SPRT’s, PRT’s, various RTD’s, and thermistors. The measurement range of the 6622T Series is from 0.1 Ω to 100 kΩ. 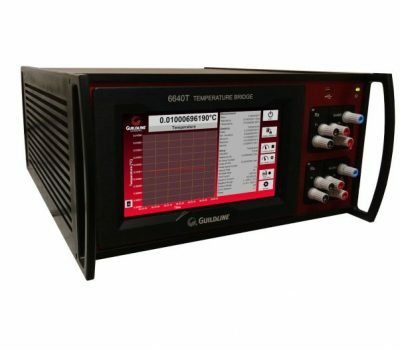 Temperature Bridge Series from Guildline Instruments, model 6622T, expands upon the success of 6622A Series Resistance Bridges by utilizing engineering ingenuity to offer leading uncertainties and stabilities for Temperature Bridges. This design introduces unique innovations in hardware and software for a wide range Temperature Bridge Series accommodating SPRT’s, PRT’s, various RTD’s, and thermistors. The measurement range of the 6622T Series is from 0.1 Ω to 100 kΩ. 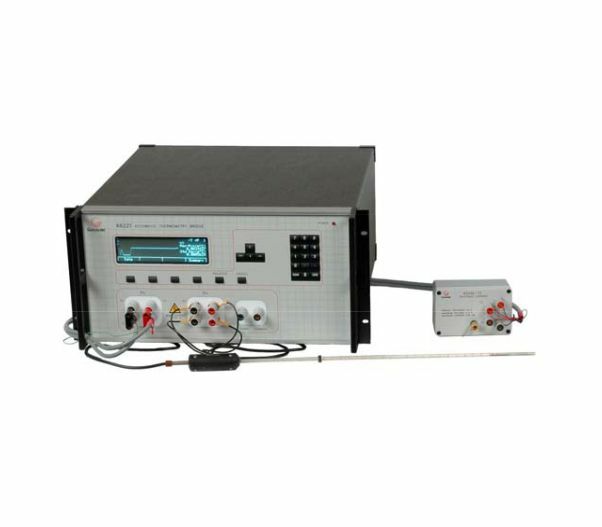 There are two models in the 6622T Temperature Bridge Series providing increasing levels of accuracy and are well suited for temperature calibration and research. The use of a DCC bridge in thermometry is beneficial as it has inherently better noise immunity to external electromagnetic noise and mechanical disturbance. One of the key features of Guildline’s Temperature bridges is that they are verified at the lower currents found in thermometry.